Five developments that make up the Nottingham neighborhood are located in the southwest corner of Maple Grove. 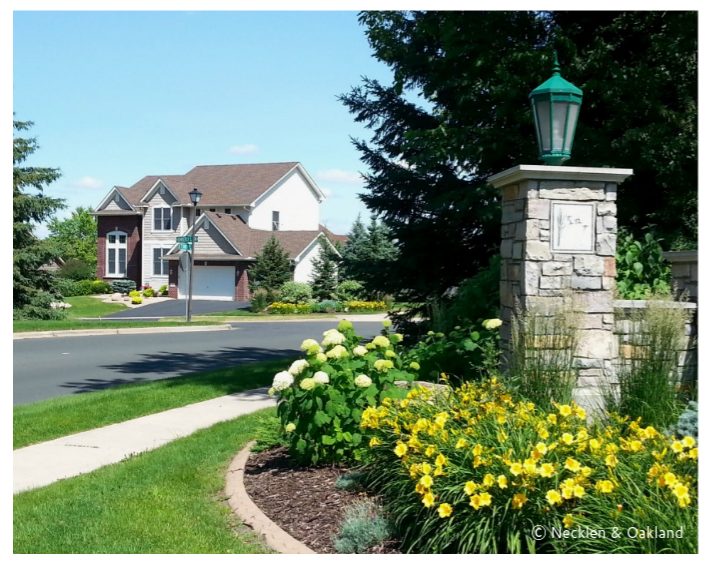 The communities have parks, trails, large lots with mature trees, and a neighborhood pool. 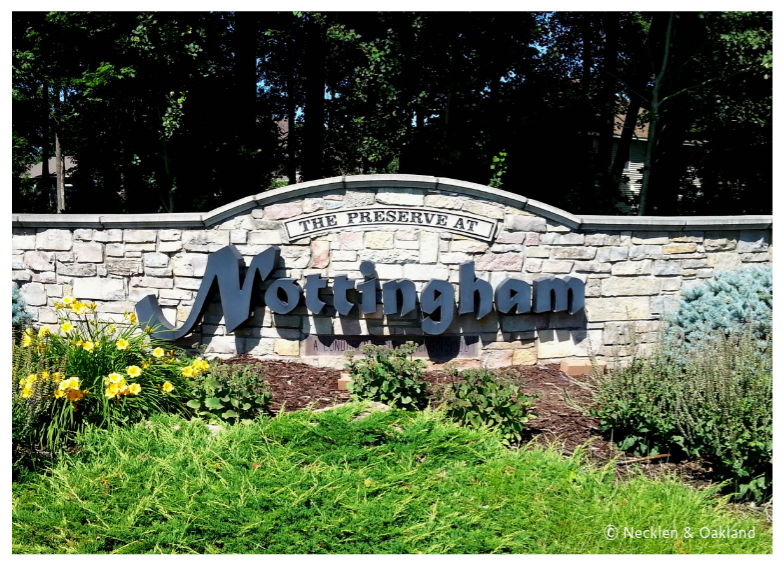 The subdivisions that make up Nottingham are: The Palisades at Nottingham, The Crossings at Nottingham, The Ridge at Nottingham, Nottingham Haven, and The Preserve at Nottingham. 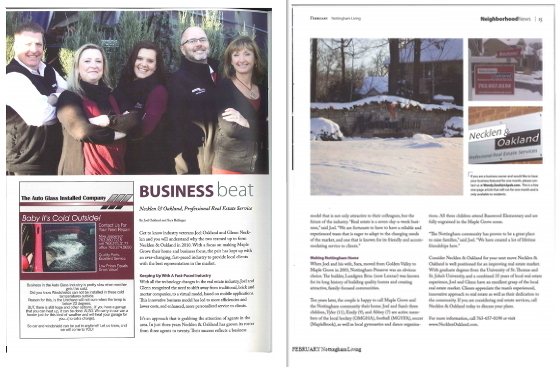 Necklen & Oakland was featured in the February 2014 issue of Nottingham Living Magazine!